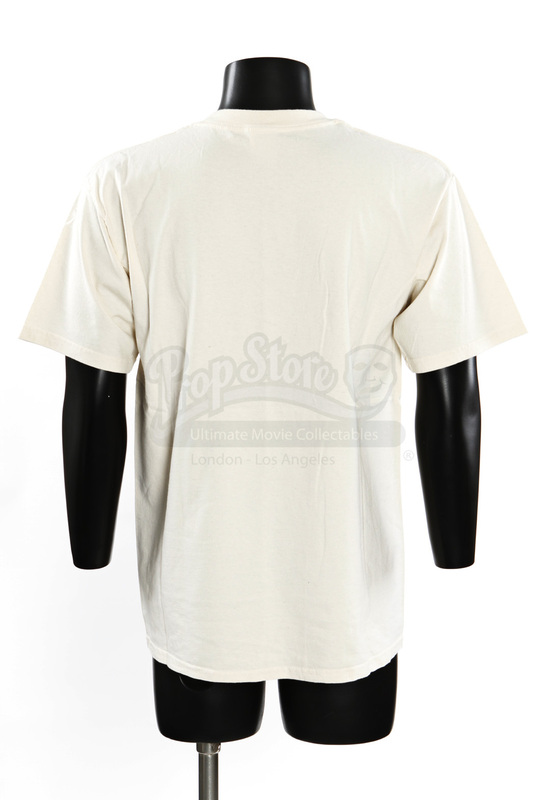 This is a background spectator's shirt from the production of the 2005 sci-fi film The Hitchhiker’s Guide to the Galaxy. These shirts were made for background spectators to wear in a flash back scene as Zaphod (Sam Rockwell) explains planet Magrathea, where supercomputer Deep Thought gave the answer to the Question of Life, the Universe, and Everything to match. 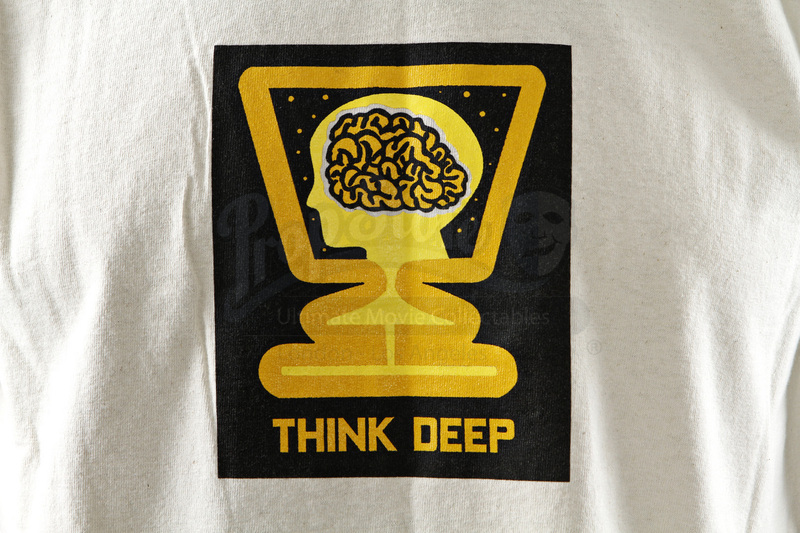 This 100% cotton t-shirt is beige in color and features an image of a large brain surrounded by a computer outline and the text, "Think Deep." 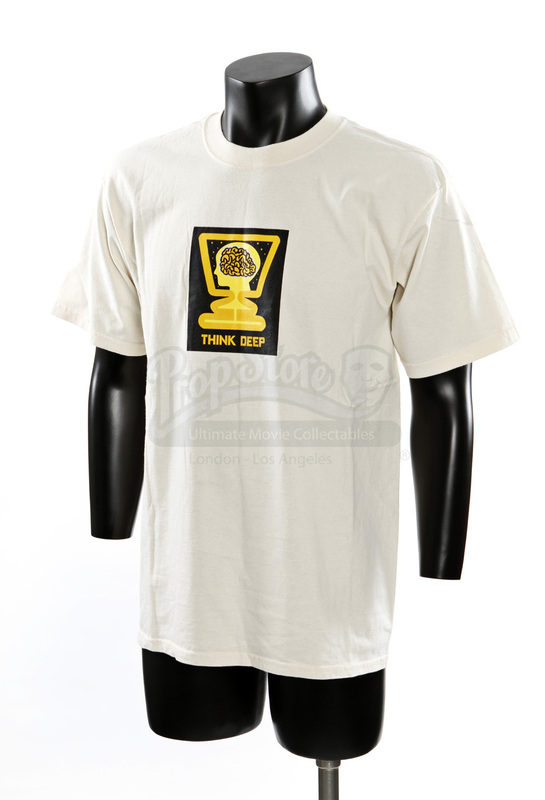 This shirt is marked size L and is in excellent condition.